Notwithstanding having promised only 2 weeks ago that there would be no inciucio, a stitch up, he is sewing as fast as his stubby little fingers will let him. Berlo, for his part, is so annoyed at being sidelined by the Lega and Salvini that he is openly saying that he (who came third) and the PD (fourth)’ are the majority and should be allowed to form a government, This may have something to do with the Corte dei Conti (the high court) who have opened the possibility of making him repay personally vast bribes paid to mp’s to cross the floor and make the Prodi Government fail 10 years ago. It will cost him 3 million at least. Mixed in with this is the new Sorrentino film about to be released which will make him remembered for less savoury things, when he is finally bunged into the mausoleum he has built in his garden. 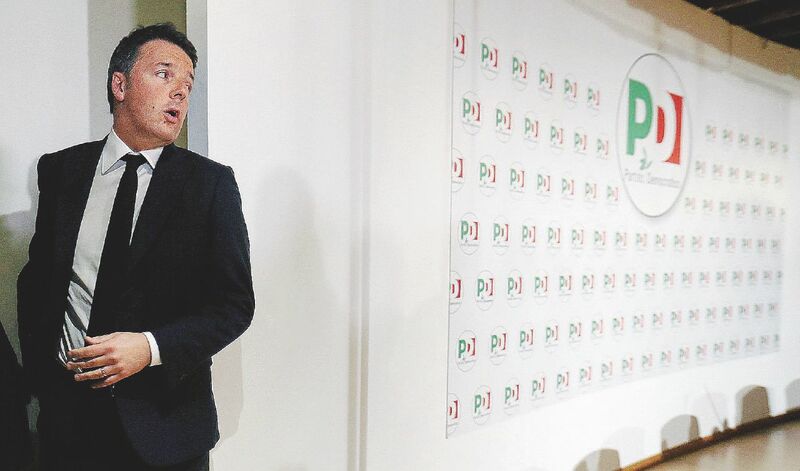 In the meantime Di Maio, as PM in waiting is pointing out, quite validly, that as the largest single party which represent more than half the regions of Italy, he has a right to try and form a government. It seems that we are genuinely faced with the possibility of a Lega/5 star government. which could last all of two weeks before it implodes. Posted on 14/03/2018 by rammers. This entry was posted in Uncategorized and tagged renzi 2018. Bookmark the permalink.